Methane and Nitrous Oxide emissions contribute significantly to greenhouse gas emissions globally, with an estimated total of 1,618 and 950 million metric tons of carbon equivalent in 2000, respectively. The estimates of these gases are highly dependent on country specific activity data and emission factors. Most countries are presently or are in the process of developing greenhouse gas inventories and projections. Developed countries are using more in-depth, detailed methodologies, activity data, and emissions factors and are passing on this knowledge to other countries through bilateral and multilateral processes. In order to take advantage of this newly available information, we have incorporated the detailed country prepared inventories and projections into an overall global estimation framework. The source and country level estimation methodology presented in this study allows for more accurate anthropogenic emission level estimates at a global level. The results show a slow growth in the recent historical period with quicker growth to 2020, under a without measures scenario. Traditionally, economic analyses of greenhouse gas (GHG) mitigation focused on carbon dioxide (CO2) emissions from energy sources, while nonCO2 GHGs were not incorporated into the studies, due to the lack of data on abatement costs of non-CO2 GHGs. In recent years, however, increasing attention has been dedicated to the benefits of reducing emissions of non-CO2 GHGs such as methane and nitrous oxide. Increased attention to the potential role of these gases in a GHG reduction policy increased the need for better data on the costs of non-CO2 GHG abatement for countries and regions outside of the US and the European Union (EU). Using a net present value calculation, this analysis develops regionally adjusted costs per mitigation option and marginal abatement cost curves by region for use in economic models. The result is worldwide cost estimates for methane and nitrous oxide from waste, energy and the industrial sectors. This paper also demonstrates the ability to significantly reduce greenhouse gases from these sectors with current technologies and the low cost of methane and nitrous oxide relative to CO reductions. Atmospheric concentrations of HFCs, PFCs, and SF6 have been growing rapidly over the last 100 years, and they have the potential to continue growing rapidly, given the high growth rates of some emitting industries and the role of HFCs and PFCs as replacements for ozone-depleting substances. This analysis estimates global emissions of HFCs, PFCs, and SF6 from twelve source categories for the years 1990, 1995, 2000, 2010, and 2020, and provides guidance for projecting emissions beyond 2020. It also presents 2010 and 2020 marginal abatement cost curves (MACs) for the same source categories. To address issues unique to the fluorinated gases, the analysis accounts for the impact of international industry agreements to voluntarily reduce emission rates, and it aggregates emissions and MACs by gas lifetime as well as economic sector. Results indicate the availability of large, low-cost reductions, especially in developing countries, and the importance of better characterizing these reductions in future analysis. This analysis presents cost estimates for mitigating nitrous oxide from cropland soils, and methane from livestock enteric fermentation, manure management and rice cultivation for major world regions. Total estimated global mitigation potential is approximately 64 MtCeq. in 2010 at negative or zero costs, 141 MtCeq. at $200/TCeq., and up to 168 MtCeq. at higher costs. Costs for individual options range from negative to positive in nearly every region, depending on emission, yield, input, labor, capital cost, and outside revenue effects. Future assessment requires improved accounting for multiple greenhouse gas effects, heterogeneity of emissions and yields, baseline management conditions, identification of options that generate farmer and societal benefits, adoption feasibility, and commodity market effects into mitigation decisions. This paper examines the potential role of carbon sequestration in forests under a range of exogenously chosen carbon price paths. The price paths were chosen to simulate several different climate change policies. The results indicate that global sequestration could range from 48�147 Pg C by 2105 for carbon prices ranging from $100 to more than $800 per t C by the end of the century. The timing of sequestration is found to be sensitive to the assumed carbon price path. Low initial carbon prices ($10 - $20 per t C in 2010) followed by rapid price increases, as might occur if policy makers try to stabilize future concentrations, suggest little, if any, sequestration during the next 20 years (-0.2 to 4.5 Pg C). If policy makers develop policies that support higher initial carbon prices, ranging from $75 to $100 per t C, 17 to 23 Pg C could be sequestered in forests over the next 20 years. Overall, our results indicate that forestry is not an efficient stopgap measure for long-term policy goals, but that it is instead an important long-term partner with other mitigation options. This paper reports on the global potential for carbon sequestration in forest plantations, and the reduction of carbon emissions from deforestation, in response to six carbon price scenarios from 2000 to 2100. These carbon price scenarios cover a range typically seen in global integrated assessment models. The world forest sector was disaggregated into ten regions, four largely temperate, developed regions: the European Union, Oceania, Russia, and the United States; and six developing, mostly tropical, regions: Africa, Central America, China, India, Rest of Asia, and South America. Three mitigation options�long-and short-rotation forestry, and the reduction of deforestation�were analyzed using a global dynamic partial equilibrium model (GCOMAP). Key findings of this work are that cumulative carbon gain ranges from 50.9 to 113.2 Gt C by 2100, higher carbon prices early lead to earlier carbon gain and vice versa, and avoided deforestation accounts for 51 to 78% of modeled carbon gains by 2100. The estimated present value of cumulative welfare change in the sector ranges from a decline of $158 billion to a gain of $81 billion by 2100. The decline is associated with a decrease in deforestation. I analyse the costs of policies aimed at stabilising global climate change. I show that abatement of all major greenhouse gases is important to the costs of climate policies and that flexible reduction of methane and other non-CO2 gases may reduce costs significantly. The non-CO2 gases offer many low-cost abatement options and this reduces the need for abatement of CO2 to stabilise climate change. Multi-gas flexibility may be important if climate policies reflect not only long-term stabilisation, but also the rate at which the climate changes, as the latter may require large reductions in emissions in the short-term. The non-CO2 greenhouse gases have so far jointly contributed around 40 percent to overall global warming. In this paper we examine the role of non-CO2 greenhouse gases in meeting long-term climate change targets. For this purpose, we develop climate mitigation scenarios aimed at achieving long-term stabilization of global radiative forcing. We use the MESSAGE model for a thorough bottom-up representation of the six Kyoto greenhouse gases and corresponding mitigation technologies. This approach endogenizes energy feedback effects from mitigation of non-CO2 gases and takes into account the interplay and side benefits that exist across GHGs. We analyze two mitigation scenarios that stabilize global radiative forcing at 4.5 W/m2	as compared to pre-industrial times�one allowing only for CO2 mitigation and another with multigas mitigation. In addition, we also investigate a lower stabilization level of 3 W/m2 and look into the implications this has for abatement strategies. Our approach helps us to identify a portfolio of measures in the energy, industry and agricultural sectors for achieving a proposed climate target. We find that considering the full basket of GHGs improves the effectiveness of the mitigation portfolio resulting in significantly lower costs, especially in the short term. In the long run, the bulk of the emissions reductions are still found to come from CO2 and this effect becomes more pronounced under the more stringent climate target. This emphasizes the importance of a diverse mitigation portfolio that includes both CO2 and non-CO2 related abatement options in meeting long-term climate targets. This paper presents a set of multi-gas mitigation scenarios that aim for stabilisation of greenhouse gas radiative forcing in 2150 at levels from 3.7 to 5.3 W/m2. At the moment, non-CO2 gasses (methane, nitrous oxide, PFCs, HFCs and SF6) contribute to about a quarter of the global emissions. The analysis shows that including these non-CO2 gases in mitigation analysis is crucial in formulating a cost-effective response. For stabilisation at 4.5 W/m2, a multi-gas approach leads to 40% lower costs than an approach that would focus at CO2only. Within the assumptions used in this study, the non-CO2 gasses contribution to total reduction is very large under less stringent targets (up to 60%), but declines under stringent targets. While stabilising at 3.7 W/m2 obviously leads to larger environmental benefits than the 4.5 W/m2 case (temperature increase in 2100 are 1.9 and 2.3oC, respectively), the costs of the lower target are higher (0.80% and 0.34% of GDP in 2100, respectively). Improving knowledge on how future reduction potential for non-CO2 gasses could develop is shown to be a crucial research question. The costs of greenhouse gas emission reduction with abatement of carbon dioxide, methane, and nitrous oxide are investigated using the FUND model. The central policy scenario keeps anthropogenic radiative forcing below 4.5 Wm2. If COemission reduction were the only possibility to meet this target, 2 the net present value of consumption losses would be $45 trillion; with abatement of the other gases added, costs fall to $33 trillion. The bulk of these costs savings can be ascribed to reductions of nitrous oxide. Because nitrous oxide emission reduction is so much more important than methane emission reduction, the choice of equivalence metric between the greenhouse gases does not matter much. Sensitivity analyses show that the shape of the cost curves for CH4 and N2O emission reductions matter, and that the inclusion of sulphate aerosols makes policy targets substantially harder to achieve. The costs of emission reduction vary greatly with the choice of stabilisation target. A target of 4.5 Wm-2 is not justified by our current knowledge of the damage costs of climate change. The Version 5 of the POLES model has been developed for the assessment of multi-gas emission reduction strategies. Abatement options have been introduced for all non-CO2 GHGs in the Kyoto Basket and, for the agricultural sector, Marginal Abatement Cost curves have been derived from the new AGRIPOL model. Combined with an international emission permit scheme that is based on the Soft Landing approach, an emission profile respecting climate targets of 550 ppmv provides a relatively soft constraint case for developing countries. The multi-gas analyses first of all demonstrate the relevance of the approach as changing from a CO2�only to a multi-gas strategy either allows to increase total abatement of 25% for the same Marginal Abatement Cost or to decrease the MAC of approximately 30% for the same total abatement. Not surprisingly however, the impacts on world demand and primary fuel mix are less pronounced in the multi-gas case. This is easily understandable as a counterpart for introducing more margins of freedom in the abatement effort. Future global warming may depend strongly on the potential for abating emissions of greenhouse gases (GHGs). Flexibility in implementing climate change mitigation policies can significantly reduce mitigation costs and has three dimensions; space, time and gas species. Therefore, multiple greenhouse gas reduction flexibility should be considered. The emission and reduction potential of CO2 and non-CO2 GHGs are assessed here using an integrated assessment model under climate change targets. The implications on gas life as well as abatement timing uncertainty on costs, technological availability, etc. are discussed. The introduction of additional multigas reductions will cut the economic burden of achieving a given climate change target. The conclusions are threefold; (1) Multigas mitigation is a cost effective strategy compared to CO2-only mitigation under the same climate target, (2) CO2 mitigation is expected to lead to ancillary reductions in CH4, N2O and SOx emissions, and (3) There is great uncertainty in the assessment of non-CO2 GHG mitigation opportunities. The purpose of this paper is to assess and compare regional welfare costs associated with alternative multi-gas strategies for a stabilization of global greenhouse gases (GHG) emissions in the long run. Mitigation costs of non-CO2 greenhouse gases are integrated into a multi-region multi-country CGE model of the world economy. Calibrations are based on GHG emissions projections from, and marginal abatement cost curves provided by, the EMF21 working group for the six greenhouse gases. We find that the introduction of non-CO2 GHGs in the mitigation strategy reduces significantly the welfare cost of a long term emissions stabilization policy but that benefits vary across regions. We also find that the various possible rules of emission quotas allocation may have large effects on the burden sharing among regions. The Second Generation Model (SGM) was developed to analyze policies designed to reduce greenhouse gas emissions. This paper documents how greenhouse gas emissions are calculated in the SGM, and provides an application to several Energy Modeling Forum scenarios that stabilize radiative forcing by using policies that either exclusively limit CO2 emissions or include both CO2 and non-CO2 greenhouse gases. Additionally, this paper discusses an extension which includes advanced fossil generating technologies with CO2 capture and storage in the USA region of the SGM. To address the problem of human induced climate change effectively, climate policy must embody the principles of economic efficiency, environmental effectiveness and equity. In this paper it is shown that such a climate change policy should include a broad coverage of major greenhouse gases and sources. ABARE�s Global Trade and Environment Model (GTEM) is used to analyse the economic impact of meeting a radiative forcing target using policies that focus on carbon dioxide emissions only and policies that focus on all major greenhouse gases and sources, including land use change and forestry emissions. It is projected that incorporating non-carbon dioxide gases into climate change policy reduces the economic adjustment cost significantly. Broadening the sources of carbon dioxide to include land use change and forestry emissions further reduces the economic adjustment costs. Non-CO2 gas (CH4, N2O and F gas) emissions account for 25 percent of all greenhouse gas in the year of 2000. Main sources of CH4 and N2O emissions are agriculture-related activities such as enteric fermentation, paddy rice cultivation, soil management. A recursive dynamic CGE (Computer General Equilibrium) model has been developed to analyze greenhouse gas reduction options including non-CO2 gas abatement technologies. Multi-regional, multisectoral and multi-gas CGE model and simple climate change model simulated long-term climate stabilization emission path. 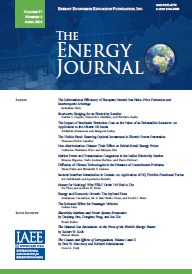 Preliminary results showed that multi gas mitigation options including CH4 and N2O abatement technologies will reduce GDP loss more than CO2 only mitigation options for long-term climate stabilization, even though CO2 mitigation options will reduce not only CO2 emissions but non-CO2 gas emissions simultaneously. It is necessary to collect regional non-CO2 gas data (emission, technology options, and so on) and conduct more sensitivity analysis with computer simulation model to reduce uncertainty of non-CO2 gas. In this paper we examine the interaction between technology policy and its impact on the full basket of worldwide greenhouse emissions over the 21st century. The heart of the analysis is the Argonne National Laboratory�s AMIGA Modeling System, a technology rich, general equilibrium model that (depending on data availability) characterizes as many as 200 sectors of the regional economies. We suggest in this paper that technologies and technology policies exist which could reduce carbon emissions enough to achieve stabilization targets at relatively modest costs given the size of the world economy. This can be accomplished largely through harnessing market forces and creating incentives with the use of efficient prices on greenhouse gas emissions, combined with complementary programs and policies to reduce market failures and to promote new technology improvements and investments. This paper examines the role of climate forcing agents other than carbon dioxide using the MiniCAM integrated assessment model for both no-climatepolicy and policy emissions scenarios. Non-CO2 greenhouse-gas forcing is dominated by methane and tropospheric ozone. Assumptions about the prevalence of methane recovery and local air pollution controls in the no-policy cases are a critical determinant of methane and ozone-precursor emissions. When these factors are considered, emissions are substantially reduced relative to earlier estimates. This reduces their potential as climate mitigation agents through specific climate policies. Nevertheless, the addition of non-CO2 greenhouse gas and ozone precursor abatement options significantly reduces mitigation costs in the first half of the 21st century (by up to 40%) compared to the case where only CO2 abatement options are pursued. While the influences of aerosols are small by the end of the century, there is a significant interaction in the early 21st century between policies to reduce CO2 emissions and SO2 emissions, even in the presence of SO2-related pollution control policies. The attendant reduced aerosol cooling can more than offset the reduction in warming that accrues from reduced CO2. When non-CO2 gases are included in the policy, the net effect is that global-mean climate change to 2050 is practically unaffected by mitigation policy. When conducting a multi-gas analysis, there are distinct advantages in moving from concentrations to radiative forcing. With the former, it is customary to use Global Warming Potentials (GWPs) for making tradeoffs among greenhouse gases. A number of studies have shown the arbitrariness of this approach and have argued that tradeoffs should be based on the contribution of each gas to achieving a particular target.1 Focusing on radiative forcing bypasses the need to rely on GWPs and provides for tradeoffs among gases based on their relative value. We investigate the importance of �what�-flexibility on top of �where�- and �when�-flexibility for alternative emission control schemes that prescribe long-term temperature targets and eventually impose additional constraints on the rate of temperature change. We find that �what�-flexibility substantially reduces the economic adjustment costs. When comparing policies that simply involve long-term temperature targets against more stringent strategies with constraints on the rate of temperature increase, it turns out that the latter involve much higher costs. The cost difference may be interpreted as additional insurance payments if climate damages should not only depend on absolute temperature change but also on the rate of temperature change. By recognizing the importance of non-CO2 gases mitigation for climate change abatement, modeling study for multi-gas scenarios was conducted by using IPAC model. This is also part of EMF-21 study for comparing the cost for CO2 mitigation and multi-gas mitigation. The main objective of this analysis is to evaluate the international potential and costs of non-CO2 greenhouse gas abatement. Three scenarios were defined by EMF-21 study including modeler reference, CO2 only mitigation scenario and multi-gas mitigation scenario. By comparing the results for the three scenarios, it is found that there is quite large potential for non-CO2 mitigation potential. Multi-gas mitigation policies could have lower cost compared with CO2 only mitigation policies. In order to reach same mitigation target level of GHG emission, there could be 30% lower carbon tax rate for multi-gas mitigation, and therefore GDP loss could be reduced by 23% in 2100. Multi-gas mitigation could give less pressure for energy system to transform. Climate change is a long-term issue due to the long lifespan of greenhouse gases (GHG) and the delayed response of the climate system. This paper investigates the long-term economic consequences of both climate change impacts and mitigation efforts by applying the multi-regional, multi-sectoral integrated assessment model WIAGEM based on GTAP-EL coupled with the reduced-form multi-gas climate model ICM. We investigate emissions reduction paths to reach a radiative forcing target of 4.5 W/m2. Economic impacts are studied and compared with and without the inclusion of all GHG gases. We find that multi-gas emissions reduction causes less economic losses compared with a case where only CO2 emissions reductions would be considered. This paper analyses the future trends (2000-2030) in Methane and Nitrous Oxide emissions across four scenarios that have been developed for India. The future state of Indian economy in the next 30-years has been broadly visualized under four scenarios proposed as combinations of market integration (extent of liberalization, globalization and integration with the world markets) and nature of governance (centralization vs. decentralization). The methodology chosen for the development of these scenarios draws mainly from the IPCC SRES methodology. The paper presents CH4 and N2O emissions for each of the scenarios for all the major emitting sectors. The major sources of Methane emissions are livestock and paddy contributing to about 65% of the total emissions in 2000. The share of emissions from Municipal Solid Waste is also expected to rise with increasing urbanization. Nitrous Oxide emissions arise chiefly from synthetic fertilizer use (contributing 67% of total emissions) and from field burning of agricultural residue. The paper also presents mitigation analysis for CO2 and CH4 and long-term, hundred-year analysis for CO2, CH4 and N2O. Current climate policies are based on the use of Global Warming Potentials (GWPs) to compare emissions of various greenhouse gases. Yet, from an economic point of view, more efficient methods exist. We compare the potential costs of implementing some long-term goal for stabilization of the climate in three cases: Reduce CO2 emissions only, reduce emissions of the four greenhouse gases CO2, CH4, N2O and SF6 using the standard IPCC GWPs and reduce emissions of the same four gases with efficient and flexible, time dependent metrics. A multi-gas approach with GWPs reduces the costs by 8 percent when compared with CO2 reductions only, whereas the costs may be reduced by an additional 2 percent if using flexible metrics. If compared with the use of GWPs, we find that efficient weights increase the cost savings of including non-CO2 gases in climate policy by 15-40%, depending on the stabilization goal. First steps toward a broad climate agreement, such as the Kyoto Protocol, have focused on less than global geographic coverage. We consider instead a policy that is less comprehensive in term of greenhouse gases (GHGs), including only the non-CO2 GHGs, but is geographically comprehensive. Abating non-CO2 GHGs may be seen as less of a threat to economic development and therefore it may be possible to involve developing countries in such a policy even though they have resisted limits on CO2 emissions. The policy we consider involves a GHG price of about $15 per ton carbon-equivalent (tce) levied only on the non-CO2 GHGs and held at that level through the century. We estimate that such a policy would reduce the global mean surface temperature in 2100 by about 0.55° C; if only methane is covered that alone would achieve a reduction of 0.3° to 0.4° C. We estimate the Kyoto Protocol in its current form would achieve a 0.25° C reduction in 2100 if Parties to it maintained it as is through the century. Furthermore, we estimate the costs of the non-CO2 policies to be a small fraction of the Kyoto policy. Whether as a next step to expand the Kyoto Protocol, or as a separate initiative running parallel to it, the world could well make substantial progress on limiting climate change by pursuing an agreement to abate the low cost non-CO2 GHGs. The results suggest that it would be useful to proceed on global abatement of non-CO2 GHGs so that lack of progress on negotiations to limit CO2 does not allow these abatement opportunities to slip away.